Quirky Bars was proud to debut its new Surfboard Bar at the Tunes in the Dunes beach festival from 22 – 24th May. Right on the beach in Perranporth, Cornwall, the festival featured a host of acts including Scouting for Girls, Tom O’Dell and Status Quo. 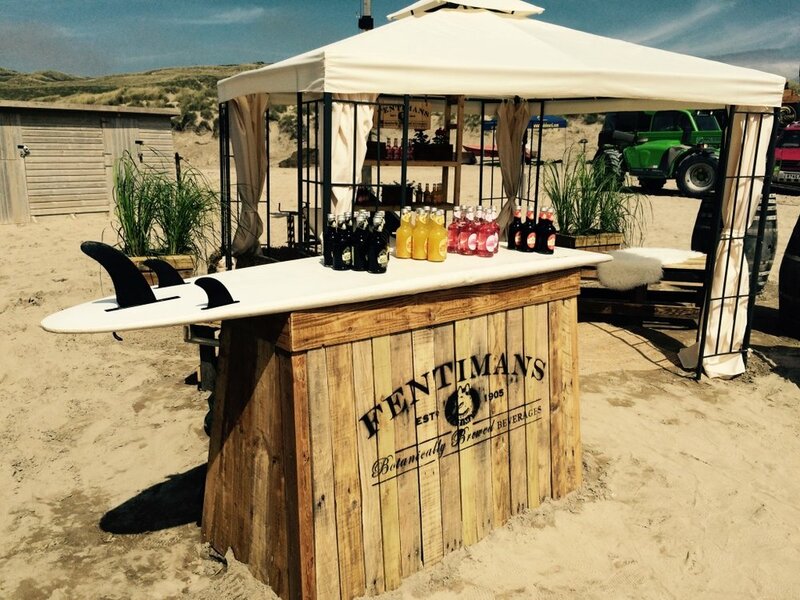 The Surfboard Bar was created especially for the event, and sponsored by Fentimans Ltd. It formed the centerpiece of Fentimans’s relaxation area for busy festival-goers, styled and created by the Quirky Bars team in association with West London Vintage. As part of the Quirky Bars family, the Surfboard Bar is available to hire; from weddings to birthday parties and corporate events, it can add real flair to any event.